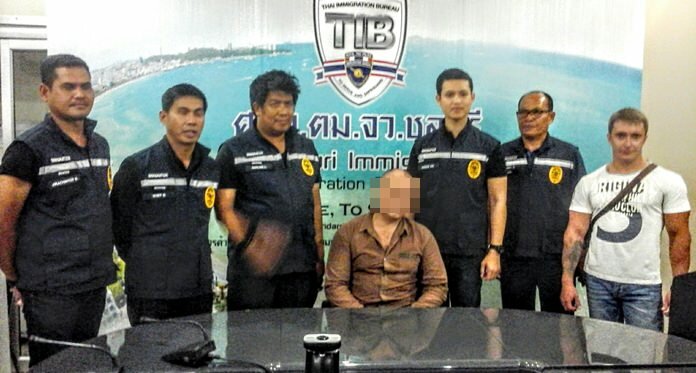 A convicted Russian fraudster and drug dealer was arrested in Pattaya and deported. Viachesfav Fillippov, 47, was apprehended Oct. 28 by Chonburi Immigration officers. Deemed a “dangerous person” he was processed for deportation for violating the country’s visa laws. Viachesfav Fillippov, 47, was apprehended Oct. 28 by Chonburi Immigration officers. Authorities said Fillippov had been imprisoned four times over the past 22 years, including a total of 15 years for three fraud convictions and three years for drugs between 1994 and 2008. He was released from prison and then came to Thailand, obtaining a visa despite Thailand’s prohibitions on granting them to convicted felons.